Earn 2000 - 3000 points upon purchasing this product. This 52 week curriculum offers lessons from some of the great, and a few of the not so great characters from the Bible. These easy to prepare lessons are perfect for your busy volunteers. This 52 week curriculum offers lessons from some of the great, and a few of the not so great characters from the Bible. From Abraham through the Joshua, on through the Judges and Kings and fishing with the heroes of the New Testament, you’ll find thirty-nine lessons featuring these familiar stories and 13 others based on scripture and focused on the holidays and special seasons of the year. 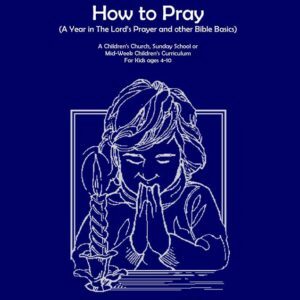 The Holiday lessons include four for advent, one for Christmas and several for Lent, Palm Sunday and Easter. Each lesson has activities like games and crafts and includes a story you can read or tell on your own. Additionally, the lessons are designed for busy schedules, so if you’re volunteers are short on time they can prepare on Saturday afternoon if they need to. 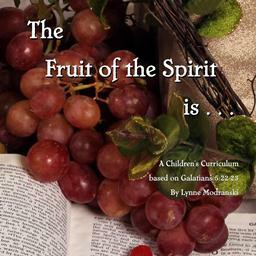 This link will order the Print or PDF version of the 52 week curriculum. If you’d prefer to order by the quarter, use the links below. Plus, this curriculum is available on Amazon. You can get the full year at the link to the right, and that should also reveal the quarters after you get to Amazon.